“An Honest Conversation with My Pre-Baby Self,” on Wear Your Voice, October 2017. Edited and condensed version of a much longer (more than 5x longer!) blog post. Illustrations on IDEO blog, March 2017, for Adwoa Gyimah-Brempong’s post, “What Your Name Says About You“. Cover illustration, After Ferguson, In Solidarity, edited by Tessara Dudley and Mariah Leewright, July 2015. Illustration on Side B Magazine blog, April 2015. Accompaniment to Vanessa Mártir’s “Color in AW(hite)Place”. [broken link] “Impediments to an Otherwise Delightful Life,” on the sadly now defunct site the-toast.net, October 2014. Creative homage to The Pillow Book by Sei Shōnagon. 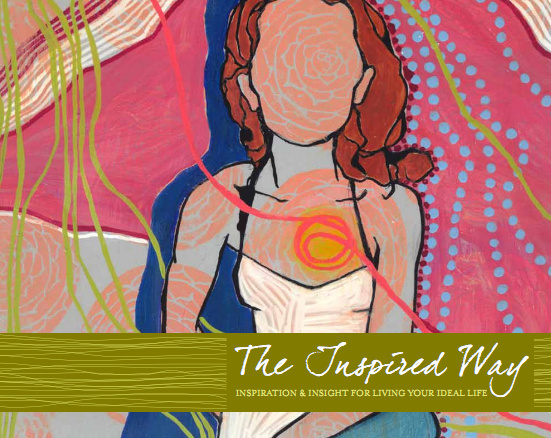 Self-portrait collage and advice on self-discovery, in The Inspired Way e-book, January 2012. Preview or download as free PDF. Pencil drawing “Intention” in forthcoming juried book, Figurative Renaissance: A Book of Bay Area Artists’ Works Inspired by Present & Past Members of the Bay Area Models Guild. Details TBA. “Lisa Hsia and the Manifesta Portrait Series,” ‘Festa Oakland blog, 27 May 2015. Two-part guest post at ArtAligned: “It’s All About You,” 13 September 2011, and “It’s Not About You,” 20 September 2011. “How To Host a Decluttering/Swapping Party,” Making This Home, 15 June 2011. “Should You Sell on Etsy?” The Mouse Market blog, 11 January 2011. “A Handmade Artist on the Importance of Repurposing,” Making This Home, 20 May 2010. The Besto Pesto, fall/winter 2009-10. Still good for pesto recipes! “Eating the Exotic: The Growing Acceptability of Chinese Cuisine in San Francisco, 1848-1915.” Read it online. This was my undergrad senior thesis, and I’ve gotten an unbelievable amount of mileage out of it. Most recently, Jennifer 8 Lee used it while writing her delightful book, The Fortune Cookie Chronicles! “Asians and Asian Americans in the West.” This was a chapter I contributed to a high school/college-level textbook, Making of the American West: People and Perspectives. I wrote this in my first year of graduate school. Live portraits at the Oakland Museum of California (OMCA), 2015. Every Friday OMCA hosts a public event with food trucks, live music, family activities, and local artists and vendors. I was one of the three featured local artists on May 29. Photo: Allison Hsia. Mixed media paintings, Kitchens: A Portrait Series, APAture 2014: Focus on Emerging Asian Pacific American Artists. APAture is an annual, curated, multi-day, multidisciplinary arts showcase in San Francisco, featuring the work of emerging Asian Pacific American artists in visual arts, literary arts, music, performing arts, comics and illustration, and film. I’ve posted all the images here. Photo: Kearny Street Workshop / Astra Kim. Reading: poem, “No Answer But This,” San Francisco Litcrawl 2011. I was asked to represent Kearny Street Workshop (along with five other deeply gifted writers) at their Litcrawl reading. Litcrawl is the final event of the annual Litquake festival; on this year the festival drew an estimated 15,000 people to SF for its week of literary goodness. Photo: Kearny Street Workshop. 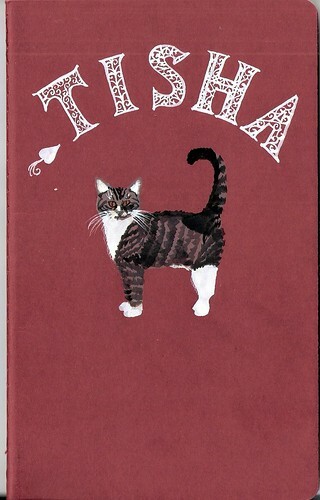 “Tisha,” The Sketchbook Project 2011. My illustrated story about our cats toured the US with this Brooklyn-based group art project. Read it online. Artist of the Month interview for the travel website Wandering Educators, September 2015. Video interview about the creative process for the Metastate Movement project, July 2015. Radio interview on familial love between different cultural generations, for Crosscurrents, KALW 91.7 FM, San Francisco, July 2015. Interview for the travel group Writing Walking Women, 3 October 2014. Panel discussion for The Places We’ve Been: Field Reports from Travelers Under 35, The Collaborative City / Illinois Humanities Council, Chicago Cultural Center, 8 September 2014. Watch the full video (1 hour 44 minutes), just my presentation (10 minutes), or an excerpt from my presentation (3 minutes). Group radio interview for The Places We’ve Been: Field Reports from Travelers Under 35, The Vócalo Morning AMp radio talk show, 89.5 FM / 90.7 FM / WLUW 88.7, Chicago, 8 September 2014. Interview for the Dispatches series at travel blog Everywhere All the Time: “Outlaws, Outliers, and a Healthy Distrust of Single Narratives,” 28 July 2014.